Hosted during Mental Health Awareness Week 2018, Spinning Orbit is a body of artwork by Xanthe Wyse, showcasing her healing journey towards stability while suffering from bipolar disorder and PTSD. 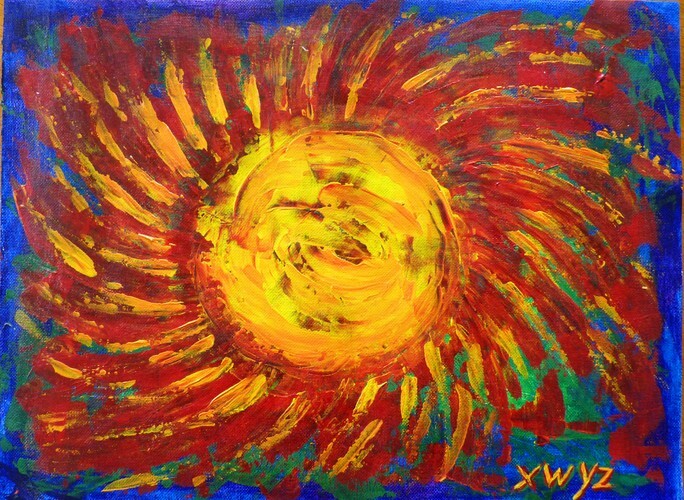 Xanthe decided to collect her art after painting Spinning Orbit, which represented how her mind felt in mania - spinning like a Catherine's wheel and hot like the Sun. Her artworks are symbolic abstracts, mostly in bold colours.